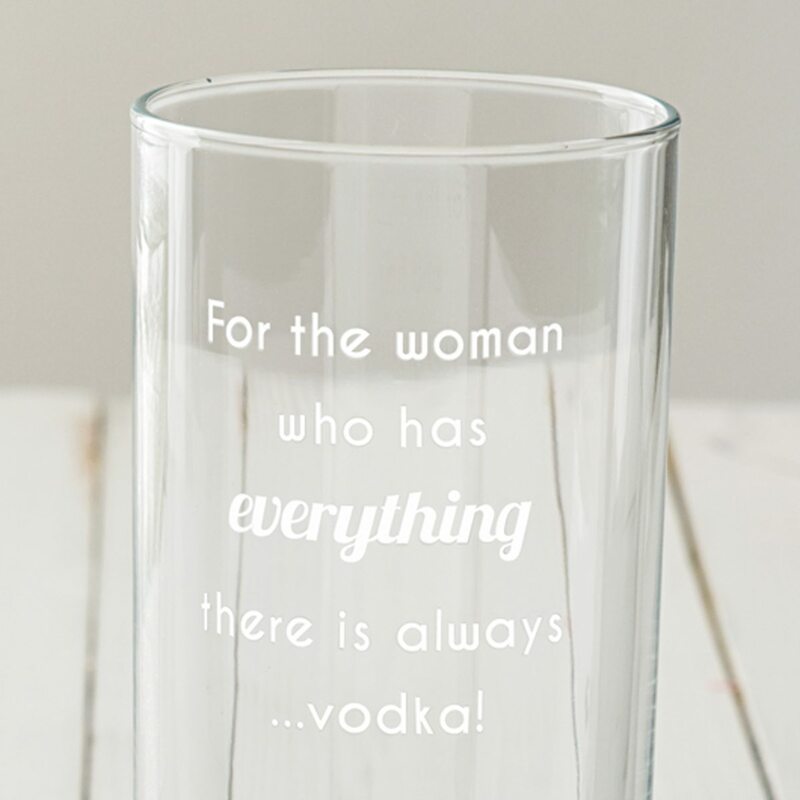 Perfect as a witty gift for friends or partners, this hand etched hi ball glass will bring a smile to the recipients face every time it is used. 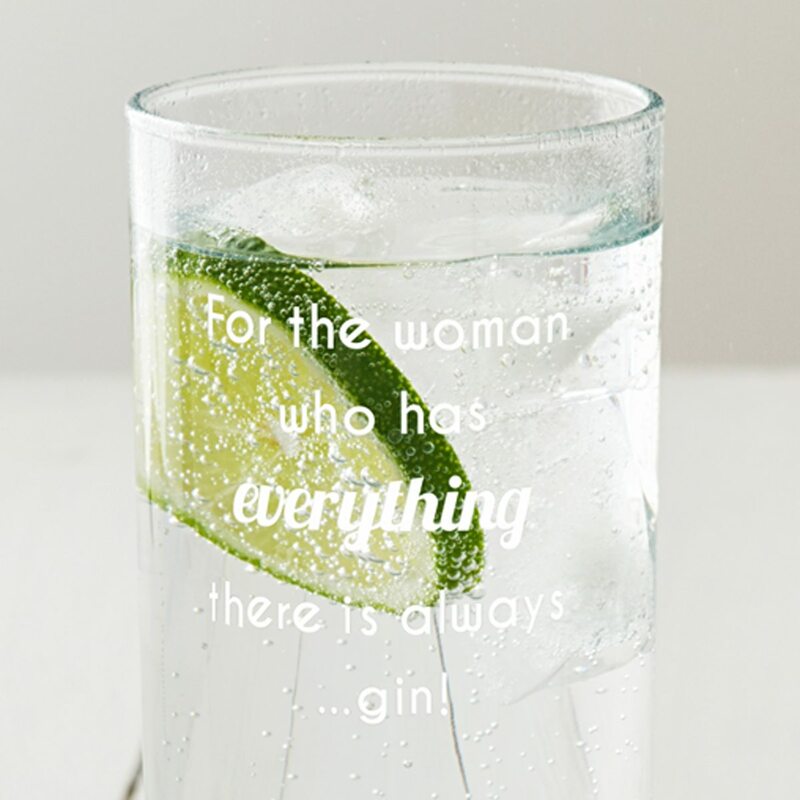 Our unique and fun ‘For The Woman Who Has Everything’ Hi Ball Glass is sure to amuse your loved one. 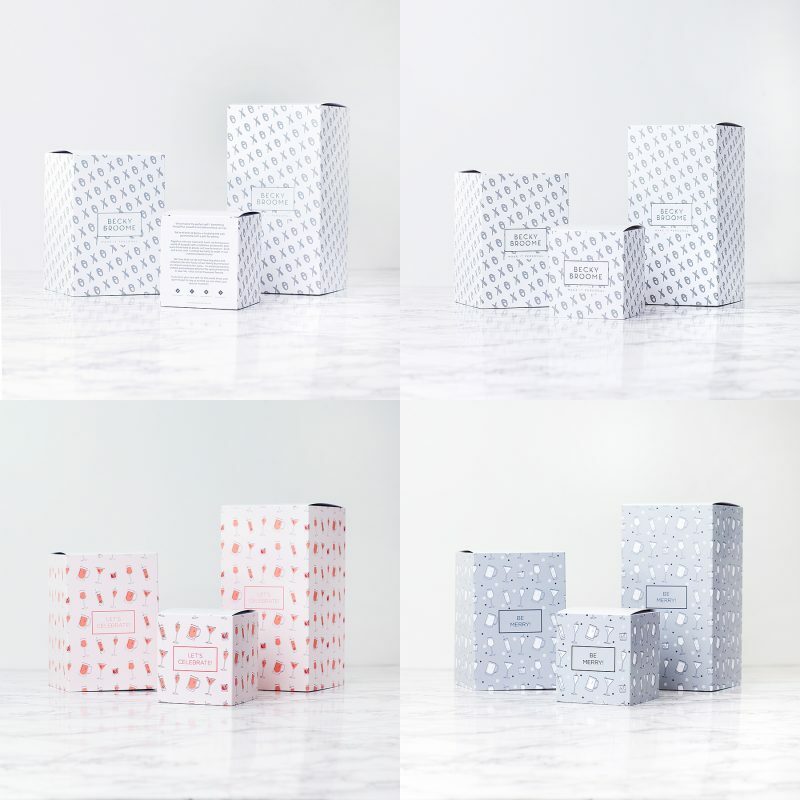 We think it would be great for birthdays, Mother’s Day and for those ‘just because’ moments – and we all know that those are the most special. 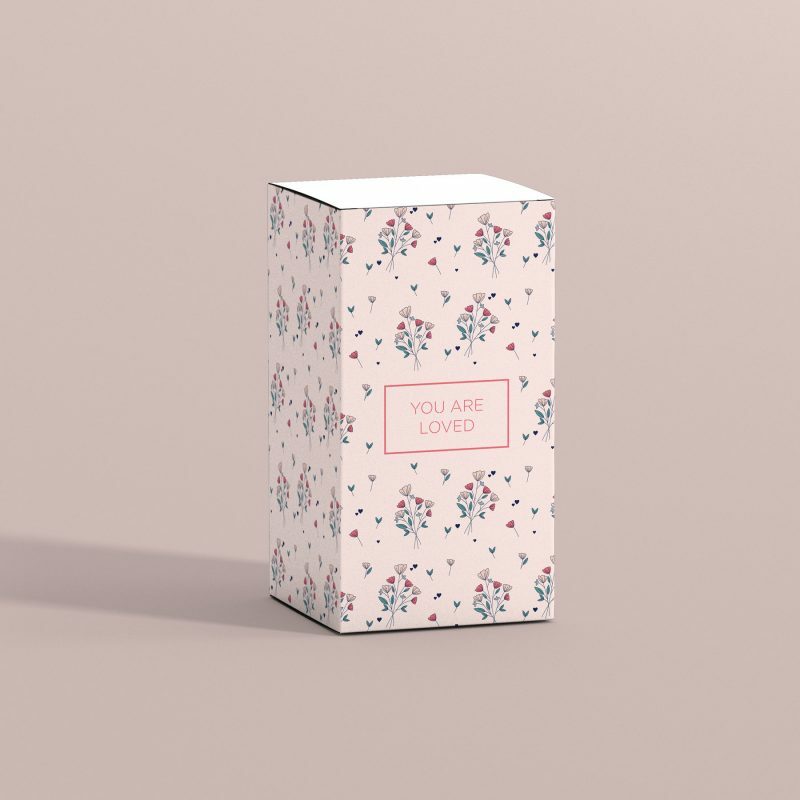 As standard we will etch the words ‘For the woman who has everything there is always …­­­____!’, including the dots and exclamation mark. All you need to do is enter your drink of choice to be etched onto the glass. You can enter up to twenty lowercase characters. 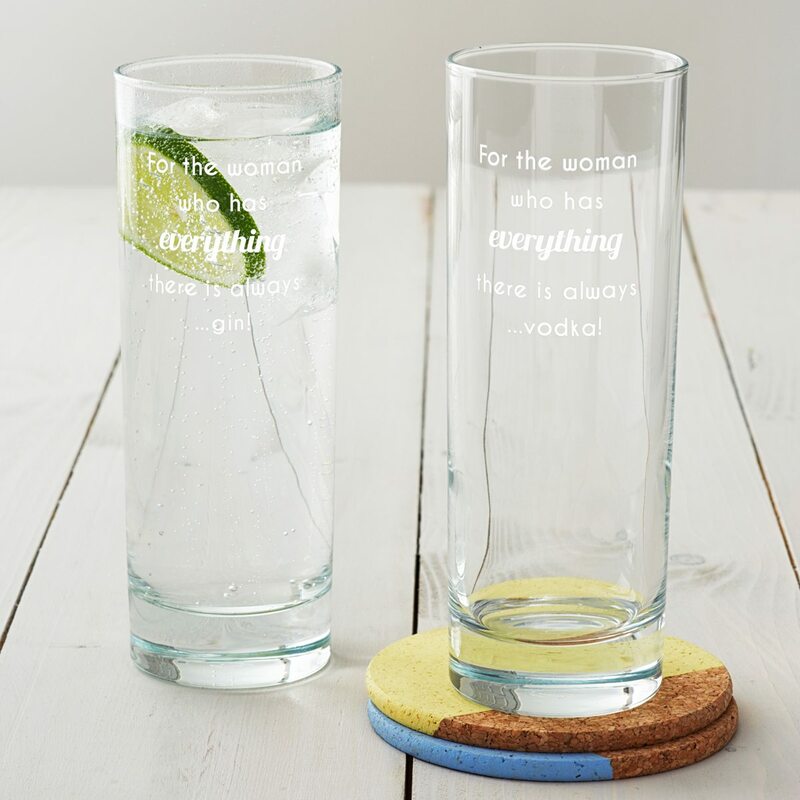 The wording is beautifully etched into our high quality hi ball glass.